“Madison Scarf” named after the beautiful Madison River in the Gallatin valley. This is scarf #2 in a series of 3 scarves celebrating the beauty of the Gallatin Valley in Montana. 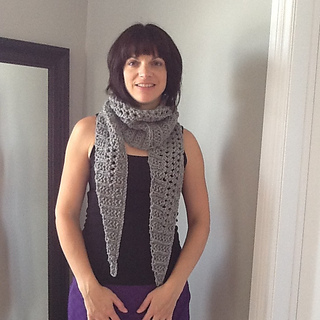 This scarf works up fairly quickly using worsted weight yarn and U.S. size 11 needles. A simple repeat in the pattern makes this fairly mindless - a great car project. 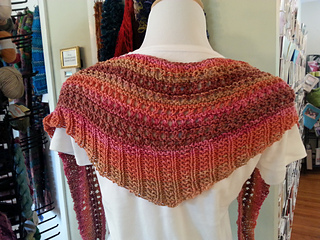 My finished scarf was approximately 82” L.
All are free patterns available on my blog. Hope you enjoy.